I don’t remember when I first read Little Women. I do know how I discovered it. We had a small collection of classics that had been my aunts’–they were girls in the 1930s and 1940s, so they were really beautiful editions. Little Women was in that collection (I think with illustrations by Jessie Wilcox Smith, but that copy is at mom’s house), along with Heidi and Bambi and all sorts of other wonderful books. I also remember loving the book–until Meg got married and the girls grew up and it got kind of mushy. Eventually, I grew up a bit too, revisited it, and fell in love with the whole wonderful book. But it has been many, many years since I’ve read Little Women. Not that I’ve ignored Alcott in the last decade or so. I’ve been to Orchard House twice–the only literary landmark I’ve visited twice. I’ve read some of her other works, including Hospital Sketches. I devoured the dual biography of Louisa and her father, Eden’s Outcasts. But I haven’t actually read Little Women in at least 10 years. Currently, I’m preparing a talk on the Civil War in children’s literature, so I simply had to reread it. And I’m enjoying it so much more than I thought I would, and I can’t figure out why it’s been so long since I’ve reread it. For the last several years (really, since the advent of goodreads and realizing exactly how many books are on my to-read list), I haven’t spent much time re-reading. There are so many wonderful, unread books that I haven’t wanted to spend my limited reading time on old friends. And yet, as I revisit the March family, I’m seeing so many things I’ve never seen before. Jo is so imperfect and yet so real. Amy isn’t nearly as annoying as I had previously thought. Every girl struggles with her faith journey (I love the scene with Amy’s little corner for reflection and prayer). Before, I had always been of the camp that believed Jo and Laurie should have ended up together. Now, I agree with Marmee that it would have been a disastrous marriage. Plus, I’m head over heels with Professor Bhaer! Even though I know exactly what’s going to happen (we shall not speak of Beth’s death just yet), I’m eager to get back to the story and keep reading. So friends, what old favorite have you neglected in recent years? Is it time to renew your acquaintance? Historians, even cultural historians, don’t usually pay a lot of attention to children’s literature. I learned this the hard way when I was working on my own (and only, so far!) article for a publication. I searched high and low for someone else that had done something similiar–using an author’s work to see how change trickled down through society. One of the review comments was that I needed to find more scholarly back-up for my premise. They had no suggestions. And the article was ultimately published without any more scholarly back-up. So, you’ll forgive me if I was a wee bit excited when Stephen Nissenbaum, in his book The Battle for Christmas mentions Little Women on multiple occasions. The 19th century was a time of extraordinary change in the way we celebrate Christmas. All those complaints we make now. . . too commerical, too much pressure with gifts, and where does the whole Christmas story figure into all of this. . . were first made in the 1830s. There’s much, much more to the story, and if you’re interested, well, read the book! Meanwhile, here’s how Little Women fits into things. First, remember how Marmee gives each of the girls a different edition of the New Testament? This was part of a much larger trend–there was a whole genre of books that were published soley to be gift books, starting in the 1820s. By the 1840s, Bibles were also being published as gift books and there was much commentary about the array of choices. Nissenbaum has this to say about Marmee’s gifts: “The gift of these Bibles is an effective gesture of emotion intimacy . . . But at the same time they are part of a process by which Marmee is training her daughters to make informed decisions of their own in the confusing world of consumer preferences.” Point 1 for kidlit history! Niseenbaum spends one chapter discussing charity and Christmas, comparing everything from Tiny Tim to the Children’s Aid Society (this is the group that started the whole Orphan Train thing). Nissenbaum uses Little Women again as an example of children learning the gift of charity at Christmas (think of them giving their Christmas breakfast away). Apparently, by the late 19th century folks were becoming increasingly concerned about the excess of Christmas and hoping to teach children how to give to those less fortunate. 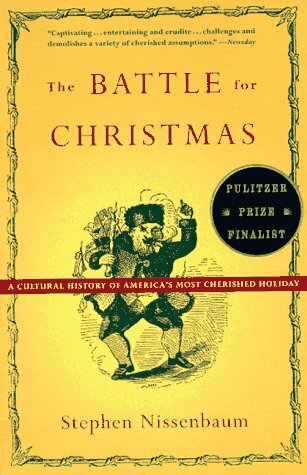 Nissenbaum writes “Beginning in about 1840, yet another kind of Christmas story began to appear. This kind of story was about children who were already perfect in the Romantic sense, children who did not need to be taught a lesson about selflessness because they were utterly unselfish by nature. At the very least, these children were willing, even eager, to sacrifice their own Christmas gifts to make other children (or even grown-up) happy.” Sound familiar? Point 2 for kidlit history! Little Women has been a part of my life for a very long time. I think I first read it around the age of 8 (post Little House, but probably pre-Anne). I only made it through the first half. Once Meg got married, I decided it was icky with all that romantic stuff and stopped reading. A few years later, I picked it up again and it was no longer icky. I think I’ve always known it was an important book, and my admiration for Alcott and her work has only grown in recent years. But I don’t think I’ve ever thought of this book as the forerunner for my favorite genre of fiction. Because when I’m not reading kidlit, I’m usually reading fiction about women and their lives. The books published by Persephone leap to mind, along with a lot of others. But it does make me wonder: without Alcott, would there have been a Lovelace or Wilder or Taylor or Enright? What do you think? As a kid, my focus was always on the stories. Eventually, I figured out that some of my favorite authors had careers beyond the books I loved so much. Or that their lives were very different from what I imagined based on their novels. But no matter what, they were my literary idols. 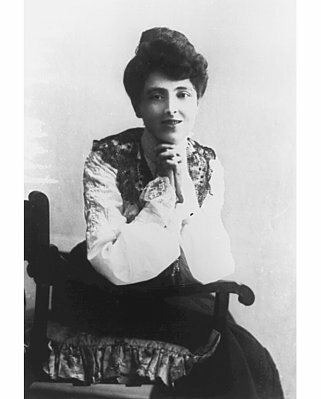 My love for L. M. Montgomery was growing just as the scholarship was taking off. Volume 1 of the journals had been published in 1985, and I received my copy in 1993 (I was 13. Yes, I’ve been a nerd for a very long time). I think by then I had read a biography or two, so knew that Montgomery’s life wasn’t all sweetness and light. But the journals were still a bit of a shock. Part of me admired her more–there are few hints of the darkness in her novels. But another part of me realized that I probably wouldn’t have been friends with her if our paths had happened to cross. You know, if I lived in Canada 100 years ago. . .
I’m not saying that I feel a need to be a kindred spirit with the writers I love. But some of these writers feel so familiar and cozy, even though I’ve only “met” this one side of their life or career. I want to know more, but it always changes the relationship a bit. 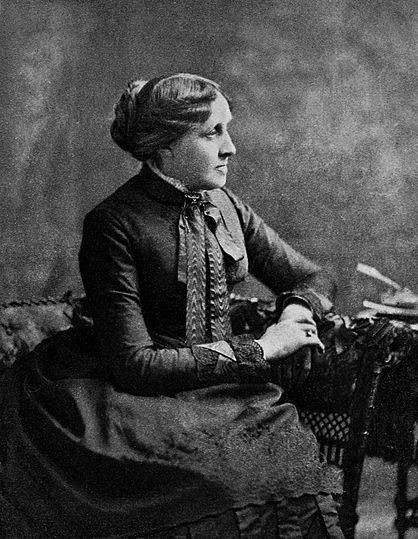 I hadn’t realized that Louisa May Alcott did anything besides write children’s novels until college. And suddenly, she was in my American Lit class and I was reading a story called “Transcendental Wild Oats.” In the last couple of years, I’ve read a lot more of her other writing–Hospital Sketches, a few other essays, etc. My admiration for her has only grown. Personally, I don’t think any of Alcott’s children’s books can be fully appreciated by the average fan without taking her extraordinary life story into account. But I don’t think this is necessarily true of Montgomery. Sure, it’s important for scholars to dissect these intricacies of life and fiction, but I’m not sure how much more I personally get out of her stories by knowing the larger context of Montgomery’s life. One of the great things about this blog for me personally is that it is forcing me (well, force may be a bit strong of a word) to re-read books or try ones that have been on The List for a long time. I’ve mentioned several times that I am completely head over heels in love with Elizabeth Enright and the Melendy family. A friend who is also on the Elizabeth Enright bandwagon offered to lend me Doublefields, a combination memoir/short story collection by Enright. I was almost nervous when I picked it up. My love of her is new and strong–I’ve now read most of her kidlit (Thimble Summer and all the Melendy books) and really, really liked them. But what if that didn’t transfer to the rest of the work? Would I be disappointed? Umm, no. The memoir section was fabulous. I saw traces of the Melendys in her life, and her personality really seemed to come through. I could be completely wrong, but I think the two of us would have a great afternoon together, talking and laughing. I think I could have been friends with Elizabeth Enright. We have the same philosophies about kids. Her childhood was different than most, but not heartbreaking like Montgomery’s. She’s someone I would love to have gotten to know. I don’t feel that way about all of the authors I love. Most of them, I am perfectly content to love them from afar. But, if time were not a limitation, I would be writing lots and lots of fan letters to Enright, begging her to come to my house for tea or wine. My fan letters to Montgomery and Alcott would be very, very different. Plenty of admiration, but not offerings of friendship. Are there authors you wish you could be friends with? Or is this my own strange fantasy world? Christmas won’t be Christmas. . . Looking back at kidlit history, there are plenty of bleak Christmases–or Christmases that would certianly be bleak by modern standards. Marmee has encouraged her children to not buy presents because “it is going to be a hard winter for everyone; and she thinks we ought not to spend money for pleasure, when our men are suffering so in the army.” Of course, it being Little Women, after their initial conversations about spending money on themselves, they decide to buy gifts for Marmee. And then they sacrifice further by giving up their breakfast. I do not think I am quite this good. They are rewarded, of course, for their goodness with an evening feast from Mr. Laurence. After all, this is Little Women. I’ve always been interested in when traditions get started and how quickly they take hold for the vast majority. Though children’s literature isn’t perhaps the best way to judge these transitions, it is one way to trace their paths into our daily lives. 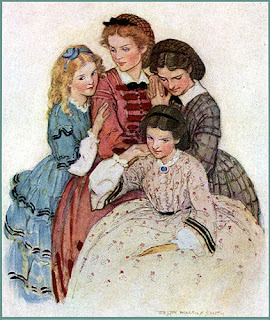 Little Women was published in 1868. Two classic Christmas traditions are casually mentioned–stockings (mainly, that they weren’t hanging up them up that year) and Santa Claus (a possible culprit for the Christmas feast?). Based on some quick research, it appears that the stocking tradition came to America through European immigrants. The stocking story is part of the myth of St. Nicholas. Clement C. Moore first publshed A Visit From S.t Nicholas back in 1823–so stockings were certainly being hung by the chimney with care in at least a few American homes. 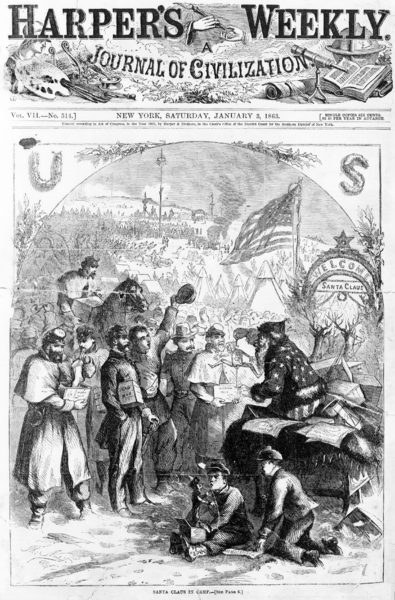 This poem, and later the work of cartoonist Thomas Nast, helped cement our ideas about St. Nicholas, or Santa Claus. The Santa Claus refe rence confused me a bit more. For the holiday event at the Village, kids meet St. Nicholas, in part because that particular name was more common in the 19th century. So what’s Santa doing in Little Women in 1868? Nast first drew the image that we now recognize as Santa–plump and bearded–in 1863. In the coming years, he refined that image. My guess is that the 1860s were indeed a time of transition from St. Nicholas to Santa Claus. I do wonder what picture was in the girls’ head when they gave credit to Santa. Was he in red or green? Tall and skinny or short and plump? Perhaps being on the East Coast made that transition faster for Alcott. What other Christmas traditions have you noticed in your reading? Have any of them surprised you?